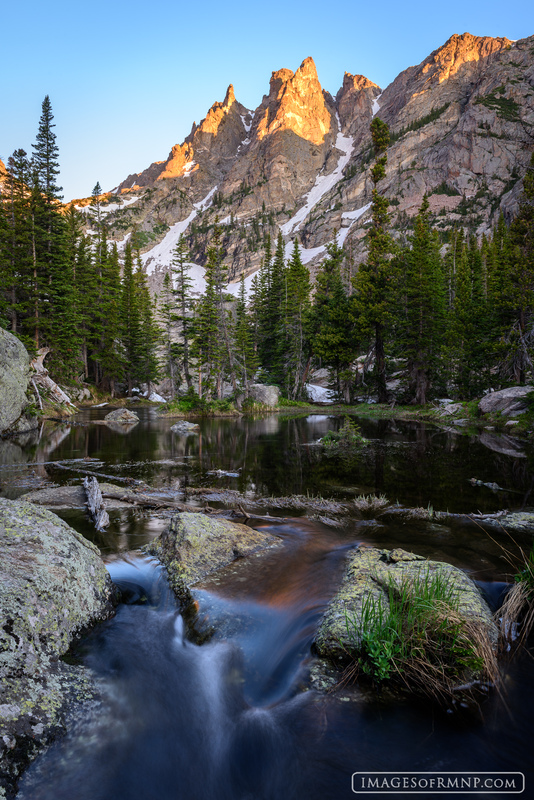 A beautiful summer morning below Emerald Lake provides a stunning view of Flattop Mountain lit by the first rays of the sun. From this view it is hard to believe that the mountain in the background is called "Flattop", but just beyond its towering spires lie gentle, flower-filled meadows. This was a glorious place to spend the morning. Photo © copyright by Erik Stensland.